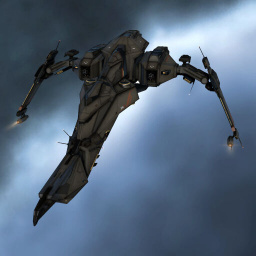 The Cerberus is a missile ship with extended range. It is normally equipped with heavy missiles and can sling them at a very impressive range. Heavy assault missile fits are also viable for solo and small gang pvp work, with the hull bonus making the range on HAMs more reasonable. The Cerberus can also be put to good use in PvE content, and can easily handle level 4 missions. Heavy Assault Cruisers to at least IV to take advantage of the DPS and range Buffs that come with every extra level in the skill. Heavy Missiles V, Heavy Assault Missiles V, and Heavy Missile Specialization/Heavy Assault Missile Specialization to at least I to fit T2 Launchers, which do more damage and are substantially cheaper than meta 4 variants, along with the ability to use T2 ammo types. Along with the requisite Power Grid Management and CPU Management skills required for adequately fitting most ships. Weapon Upgrades and Advanced Weapon Upgrades should be trained to V and IV respectively to help alleviate fitting problems. Shield Operation and Shield Management should be trained to at least IV to improve shield capacity and recharge rate. While Tactical Shield Manipulation should be trained to IV to allow the use of the T2 Shield Hardening modules as well as the T2 Adaptive Invulnerability Field. Shield Upgrades should be trained to IV to allow the use of T2 Shield Hardeners, Resistance Amplifiers, Shield Boosters, Shield Power Relays, Shield Extenders and Shield Rechargers. EM Shield Compensation, Thermal Shield Compensation, Kinetic Shield Compensation, and Explosive Shield Compensation should be trained to level IV if using the Shield Resistance Amplifiers. No sub-article about Cerberus roles or piloting tactics. You can write them here. You can write additional notes for Cerberus here. This page was last modified on 25 February 2018, at 16:11. This page has been accessed 133,549 times.